On my drive home tonight, I started thinking back to all the bicycle repairs and restorations we have worked on over the years. We have seen so many bicycles come through the door that would hardly be worth repairing, and many that are. Some clients have sentimental connection to their bicycle. Some have a “collectors” mentality with an old bicycle. Some bikes have been passed down through the generations. We have seen it all. 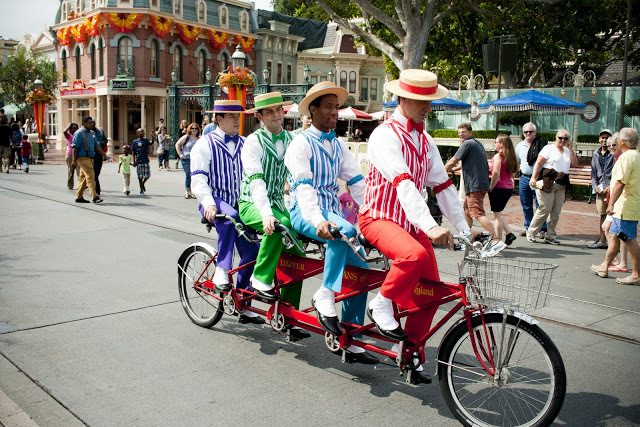 I believe the most memorable restoration I have been a part of, is the Dapper Dans 4 seat bicycle at Disneyland. We had done work on some trick bikes for the California Parade some years back. One of the top leads for the parade props must have been very happy with our work, since he referred the Dapper Dans lead to contact us concerning the restoration for this iconic and rare 4 seat bike. 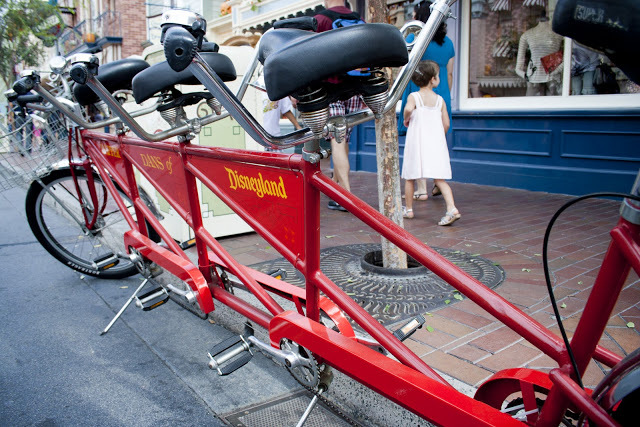 After meeting with a few of the leads at the Disneyland park, I agreed to bid the restoration of the 4 seat bicycle. Well, to make a long story short, Jax won the bid for the restoration. It wasn’t long after, that Disney delivered the massive bicycle to us. It took a truck with a lift to deliver it to our doorsteps. Apparently the bicycle had not been restored since the 70’s and it definitely needed some love! As explained to myself, Schwinn custom-built this one-off frame, and it had been restored at least once since originally built. The rebuild was extremely fun to execute. We had to build custom wheels, rebuild all the bottom bracket and cranks, rework the brakes so they would stop all the weight of the bike and riders, and clean and restore to look like new. After nearly 40 hours of TLC and hard work, we had recreated a piece of Disney history. After a few spins around the block, the good folks at Disney were anxious to take the 4 seat bicycle back to the Park for millions to enjoy seeing. I have been lucky enough to see it pass by on Main Street while visiting Disneyland with my kids. I think they love hearing my story about the bicycle…if not, I still enjoy sharing it with them!